Why Every Influencer Has a Discord – The Atlantic by @taylorlorenz @TheAtlantic @discordapp « Adafruit Industries – Makers, hackers, artists, designers and engineers! Why Every Influencer Has a Discord – The Atlantic. Discord is a real-time chat platform that was founded four years ago as a way to make it easier for gamers to communicate. But over the past year, it has outgrown its origin story and become the default place where influencers, YouTubers, Instagram meme accounts, and anyone with an audience can connect with their community. At some point, someone besides myself (maybe) will write a follow up to this article specifically for the programming/maker/electronics communities using Discord as well. For many of the same reasons others have moved to Discord as described in The Atlantic, same goes for many tech communities as well. It probably would be helpful to have some awesome-like list of tech-related Discord communities as well. There is not an OPML file (RSS) of servers I can export from Discord, but maybe there should be. Here are our recent stats. We reached over 11,000+ humans around March 11, 2019. We share projects, coordinate events, make new friends, build open-source together like CircuitPython, we’ve worked really hard to make this a special place for everyone to share their projects, code, and things they make. 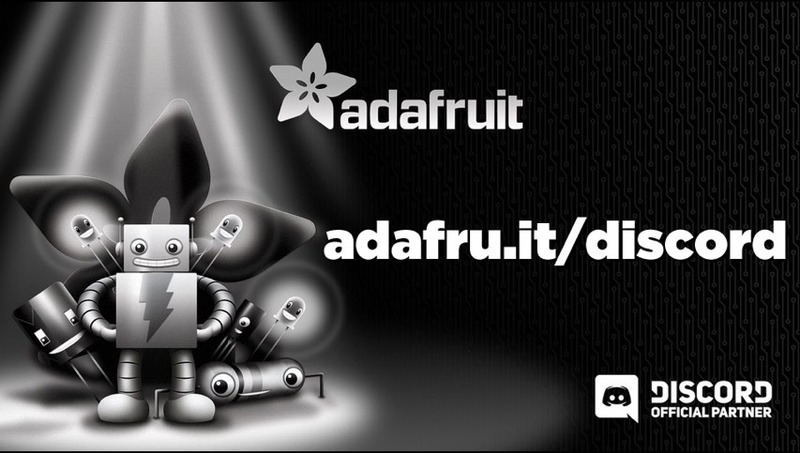 Adafruit community server on Discord – Now included in the Open Source listings – FEBRUARY 5, 2019. 10,000 – JANUARY 13, 2019. 9,000 – NOVEMBER 27, 2018. 8,000 – OCTOBER 10, 2018. 7,000 – JULY 5, 2018. Celebrating a year together as a community on Discord! – JUNE 22, 2018. 5,000 – APRIL 13, 2018. Adafruit is a Discord partner yay! – JULY 22, 2017. Adafruit is on Discord – JULY 20, 2017.